A relaxed holiday on A-Rose cruise tours. Experience impressive countryside and cities the Danube. See the History Belgrade’s of varied architectural legacy. A relaxed holiday can be so exciting. Experience impressive countryside and cities along the Danube for a whole eleven days. At the “Iron Gates”, one of the most impressive gorges in Europe, everyday life is already left far behind. The steep rock faces, the wooded mountains and the wild and romantic scenery, reminiscent of fjords, provide a fascinating contrast to the lively city life of emergent metropolises like Belgrade. And Vienna, Budapest and Bratislava too are waiting for you to fall in love with them – bursting with places of interest which you can reach very comfortably from the ship. No reviews yet for this trip. Browse other reviews below for A-Rosa Cruises. Budapest once consisted of three parts: Buda, Obuda and Pest. Buda meaning “oven” was the historical upper city with the castle. The part Obuda meaning “old oven” was the part between the hill and the Danube. And Pest on the left-hand side was where most of the population lived. In 1872, these three parts were combined to form a real centre. Belgrade’s troubled history is reflected in a rich and varied architectural legacy. In the past, the city has changed hands many times and has now been the capital of Serbia since 1992. At the heart of the city, the square of the Republic leads on to the pedestrian shopping area and also the so-called Skadarlija artists’ quarter, both of which are definitely worth a visit. Bratislava has been the capital of Slovakia since its independence in 1993. Bratislava was also the capital of Hungary from 1536 to 1784. A visit should begin at the castle, which offers spectacular panoramic views over the "Beauty on the Danube". The Old City presents a fascinating network of attractive squares and winding lanes. Vienna, the capital of Austria, is known as the city on the blue Danube, but today the main river is actually detached from the inner city and only the Danube Channel runs through the city. 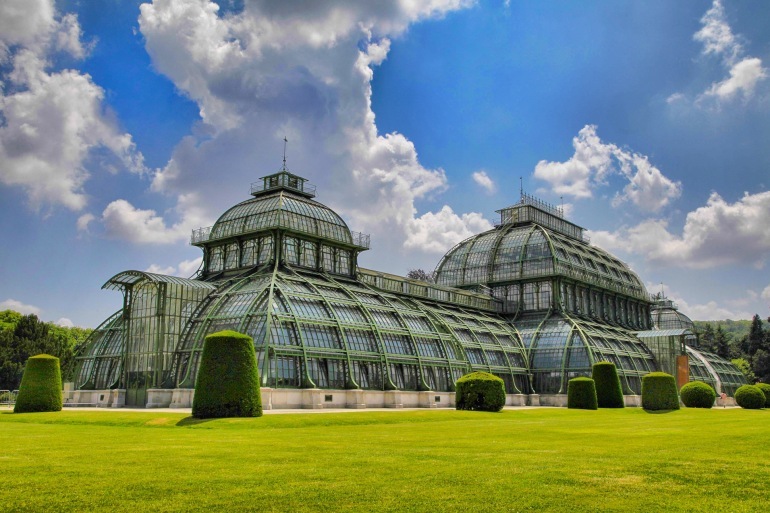 Vienna is still one of Europe’s most seductive cities, however, and is worth a visit not just for its incomparable cultural treasures, the pomp and elegance of former glory, but also for its traditional coffee houses. Excursion stop The town is first mentioned as Metallica in 831 in a donation of Louis the German; the name is from a Slavic word for 'border. The area around Melk was given to Margrave Leopold I in the year 976 to serve as a buffer between the Magyars (called "Turks" in that time's sources) to east and Bavaria to the west. In 996 mention was first made of an area known as Ostarrichi, which is the origin of the word Oesterreich (German for Austria). The bluff which holds the current monastery held a Babenberger castle until the site was given to Benedictine monks from nearby Lambach by Margrave Leopold II in 1089. Melk received market rights in 1227 and became a municipality in 1898. In a very small area, Melk presents a great deal of architectural variety from many centuries. Whatever you’re looking for on vacation – you will find it on board the A-ROSA river vessels on the Danube. Whatever you’re looking for on vacation – you will find it on board the A-ROSA cruise ships on the Rhine. Those seeking privacy & relaxation must visit the peaceful ambiance of the SPA-AROSA. On the Sun Deck, there is an outdoor pool, shuffleboard and putting green. Leaving your daily lives behind and the stress that sometimes comes with it may be the best part of any vacation. The casual and friendly atmosphere onboard, along with the beautiful countryside around every bend of the river hastens your desire to let go and just enjoy. TV, complimentary use of robes and slippers while sailing and plenty of storage. In the unfortunate event a participant must cancel travel, notice to us must be via email to reservations@arosacruises.com, which must include a return receipt and read notation, or other writing stating clearly and correctly each passenger’s name, ship name, start and end date of the cruise and a brief statement of the reason for cancellation. Other forms of notice are not sufficient. The cancellation date is the date on which we receive the written cancellation notice. A name change or substitution of participant is also treated as a cancellation in that all cancellation charges apply. Please see “Changes” clause above for exceptions. Cancellation charges also apply to additional charges for upgrades, transfers and other pre-purchased services. Insurance premiums are strictly non-refundable. After travel begins, there is no refund for unused services, or unused portions of any cruise or cruise tour.